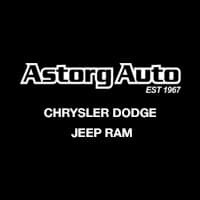 Here at Astorg Chrysler Dodge Jeep Ram FIAT, we do everything we can to make buying your next new or used car a breeze, and that includes demystifying auto financing. See, we have a group of Chrysler, Dodge, Jeep, FIAT and RAM lease and car loan experts here at our dealership, and they are passionate about their work. That, of course means they are going to do their best to ensure your satisfaction by negotiating the right car loan or Chrysler, Dodge, Jeep, FIAT and RAM lease rates for you. Submit an application form online via our website. Of course, we can also schedule some face time at our new Chrysler, Dodge, Jeep, FIAT and RAM showroom, which is located at 1501 7th St in Parkersburg, West Virginia – a quick drive from the surrounding Vienna, Ripley, Athens OH and Marietta OH areas.